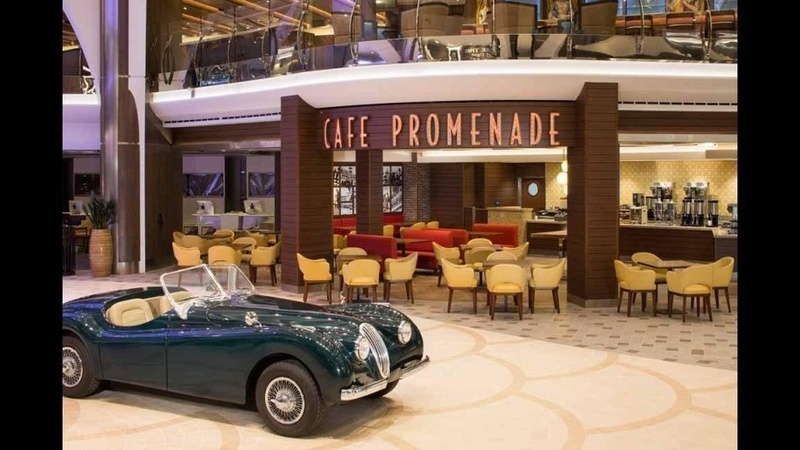 It’s The Biggest Cruise Ship Ever Built… Here’s Some Surprises You’ll Find Onboard. 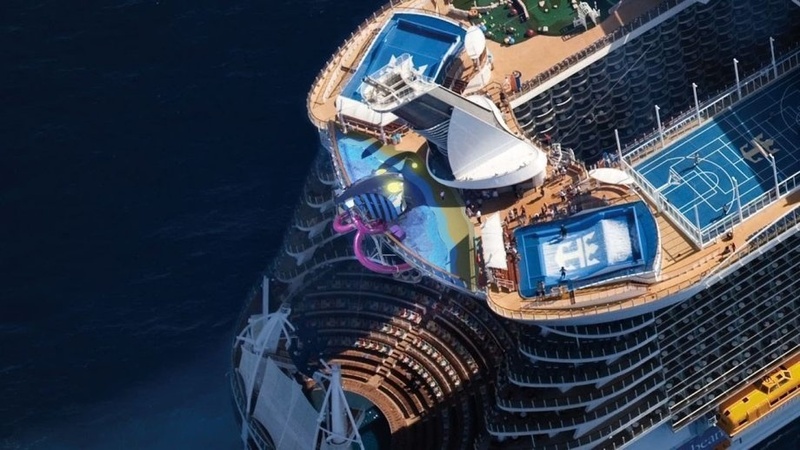 Home » Architecture » It’s The Biggest Cruise Ship Ever Built… Here’s Some Surprises You’ll Find Onboard. 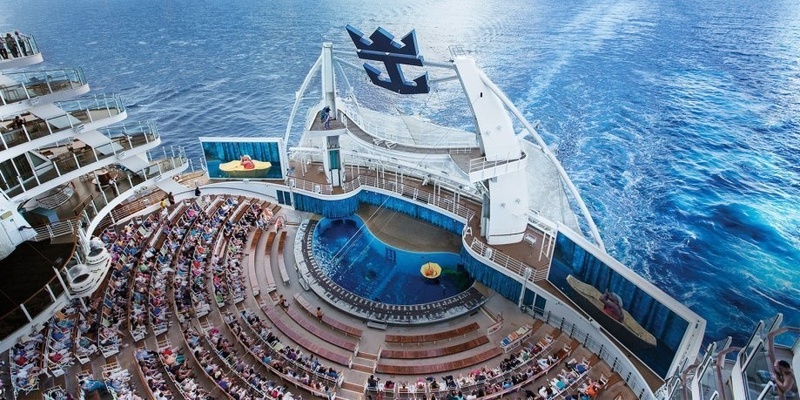 Harmony of the Seas may be the king of the ocean. 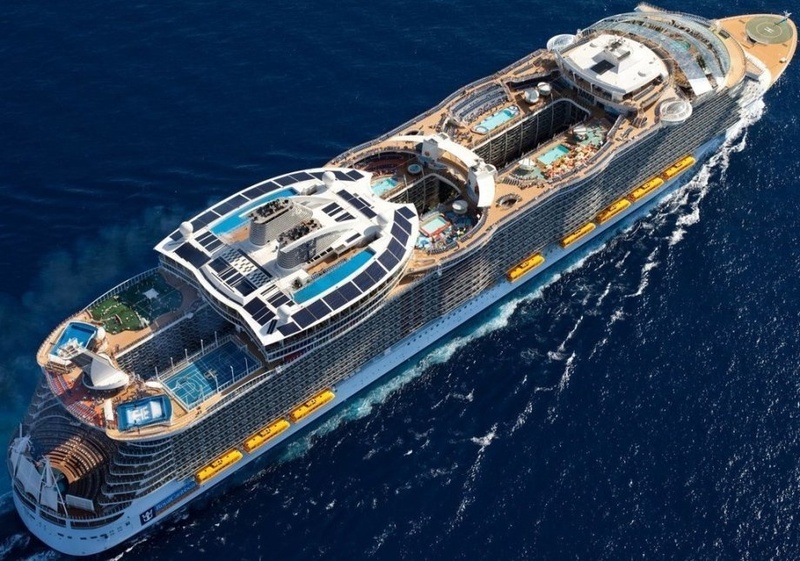 The biggest ship in the world is the new addition in the Royal Caribbean fleet. Everything about this vessel is done in grand proportions. At 362-meter long, this structure is larger than the Eiffel Tower in France. It cost a mere $1 billion to build this floating city. 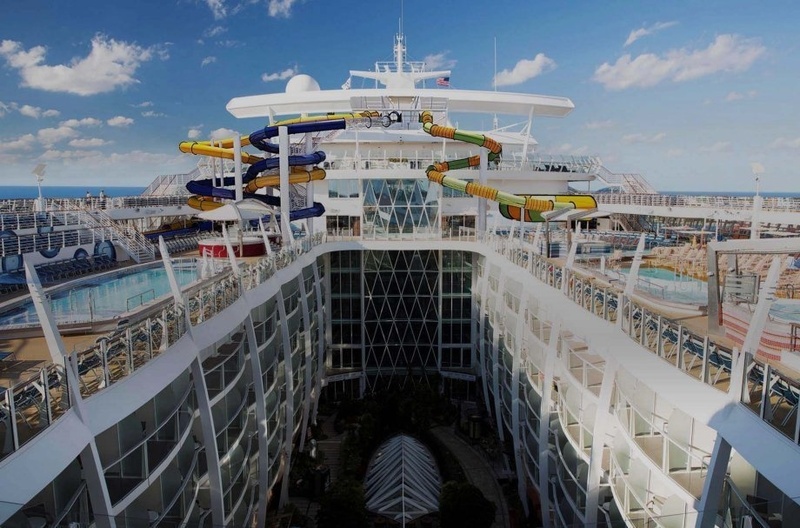 It took 32 months to complete the 16 deck ship which boasts the tallest slide at sea, and the deepest pool at sea. 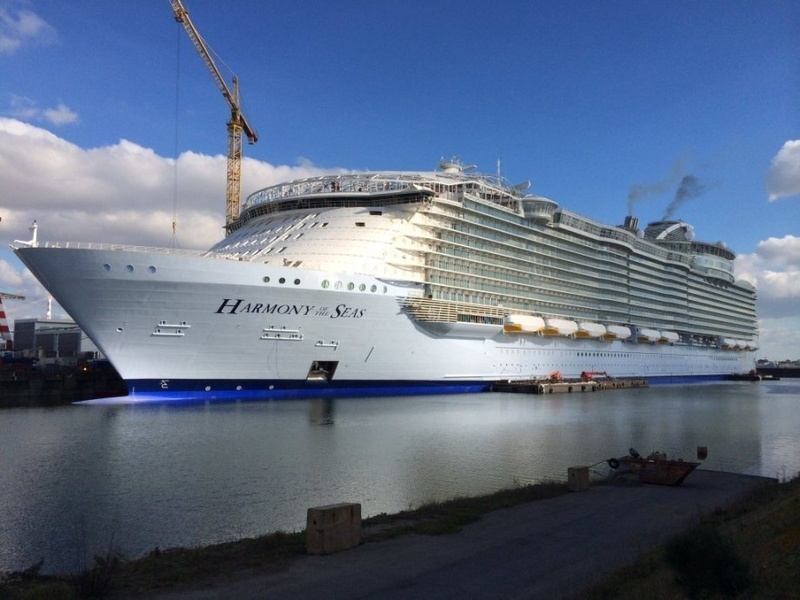 Harmony of the Seas set sail this week for the first time from Southampton, England. 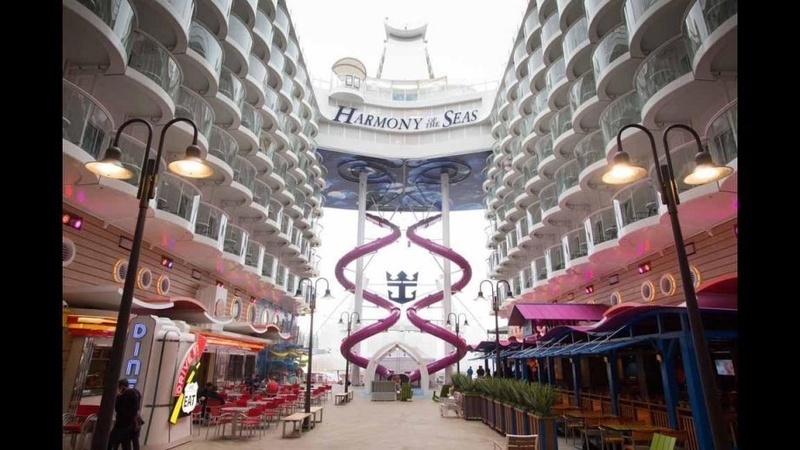 Harmony of the Seas can carry up to 7,000 passengers. 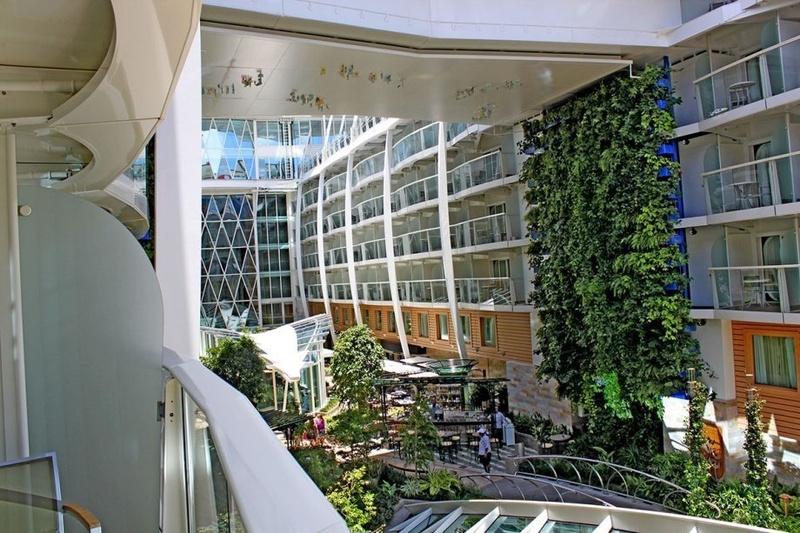 23 pools, 20 restaurants, a theatre, casino, hospital, and jail are just some of the amenities found in the ship. 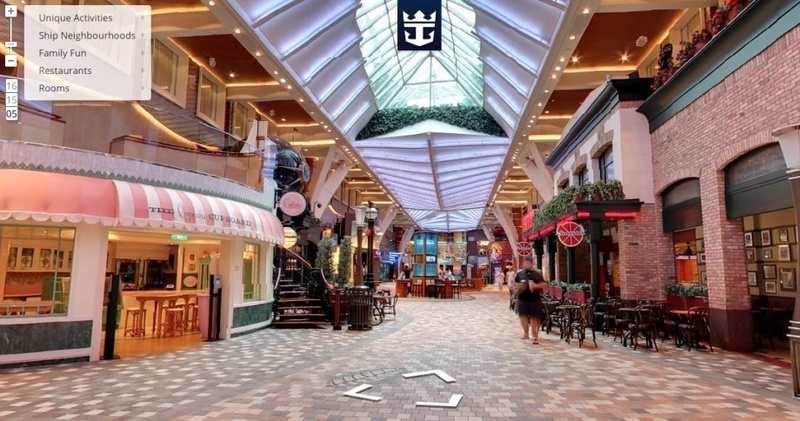 The cruise has seven neighbourhoods like the Royal Promenade, Central Park, and Boardwalk. 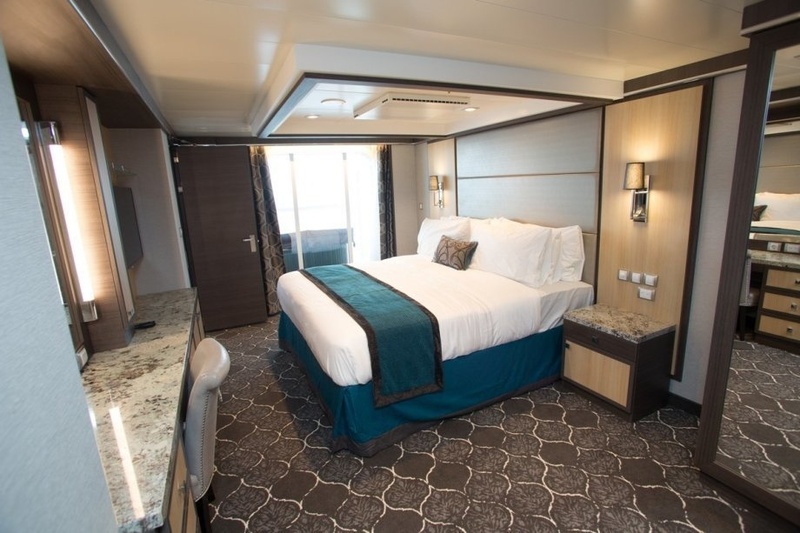 Cabins with no windows come with virtual ones from a real time camera from the ship. 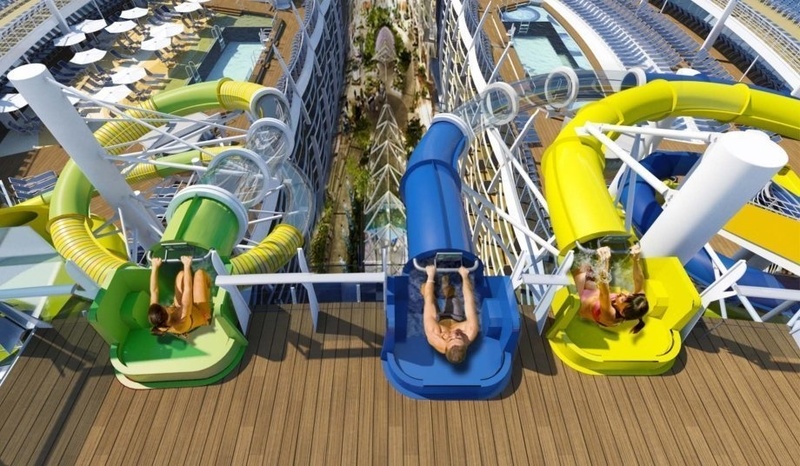 The world’s tallest sea slide, the Ultimate Abyss is 10 stories of adrenalin rush. 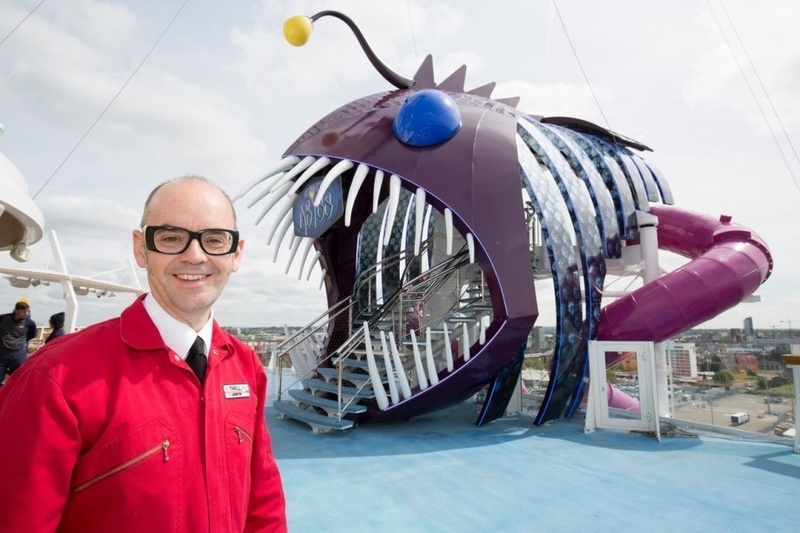 Daredevils begin their ride in the Ultimate Abyss by entering through a purple anglerfish. 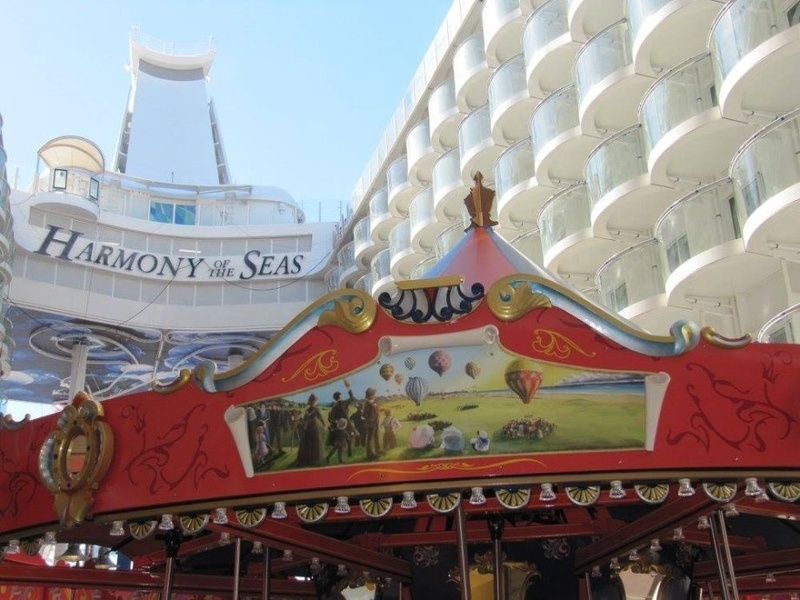 Boardwalk takes you to a retro carousel and arcade area. 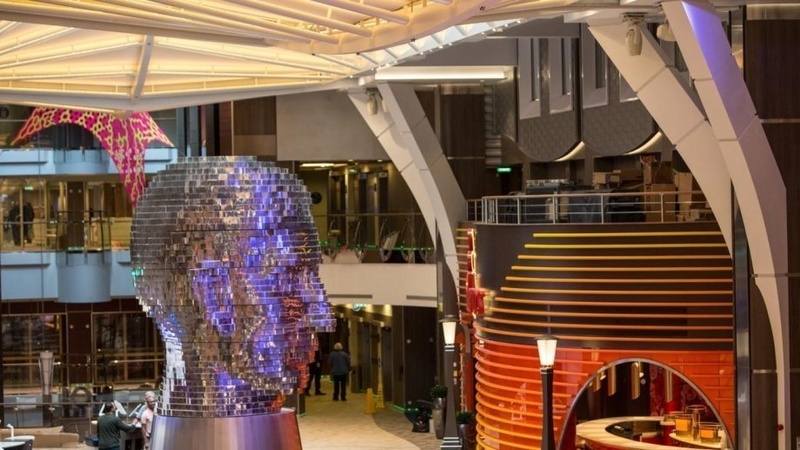 The fastest high speed internet is provided on the Harmony of the Seas. 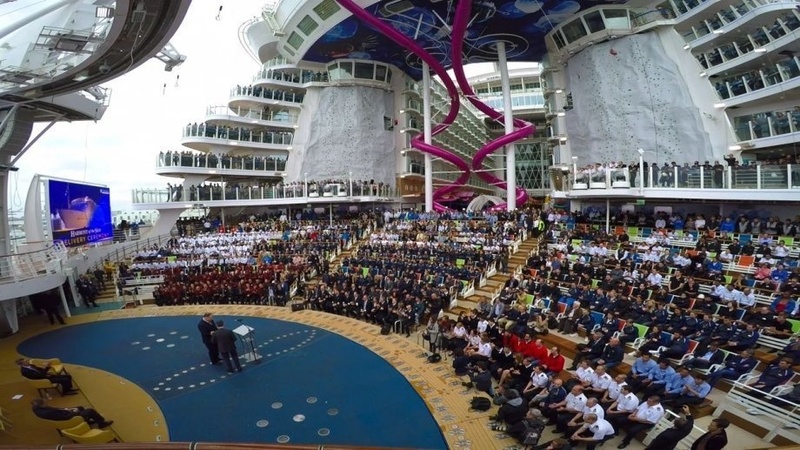 “Harmony of the Seas is the product of our zealous spirit of continuous improvement, where we have combined revolutionary ship design with the technological strides,” says Richard Fain, Chairman and CEO of Royal Caribbean Cruises. 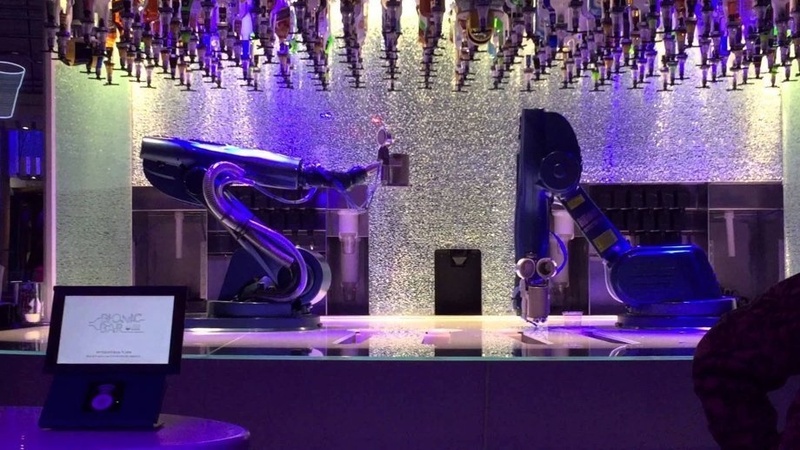 The Bionic Bar employs robot bartenders. 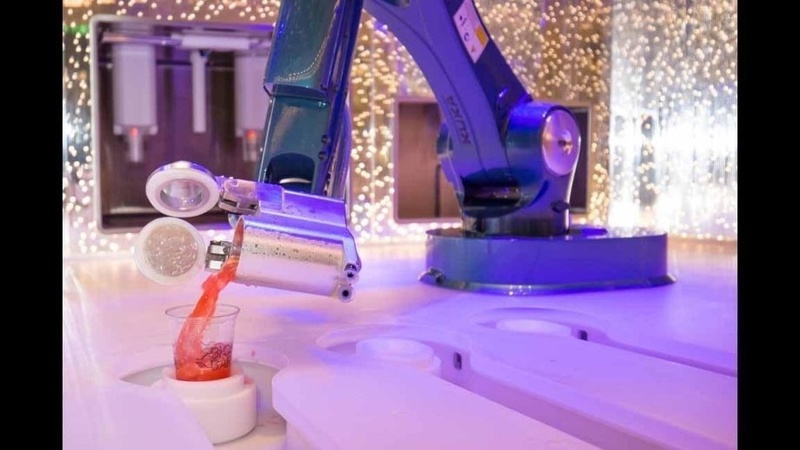 The robotic arms will make your drink exactly how you want it. 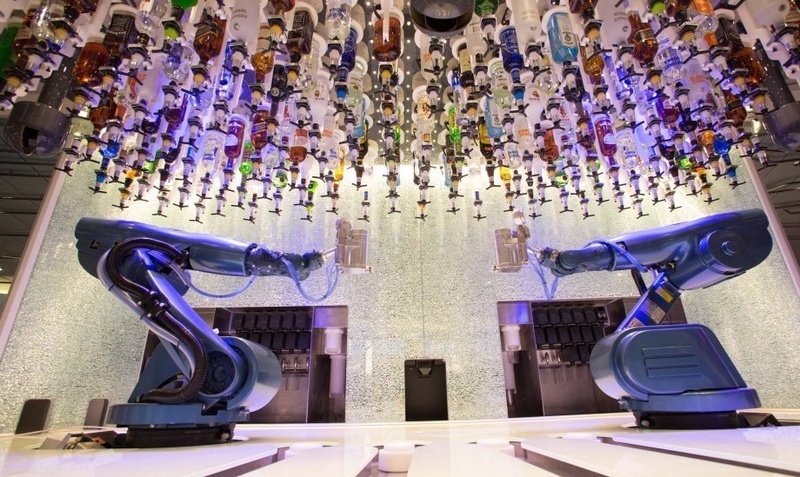 The robots can make two drinks per minute and 1,000 drinks a day. 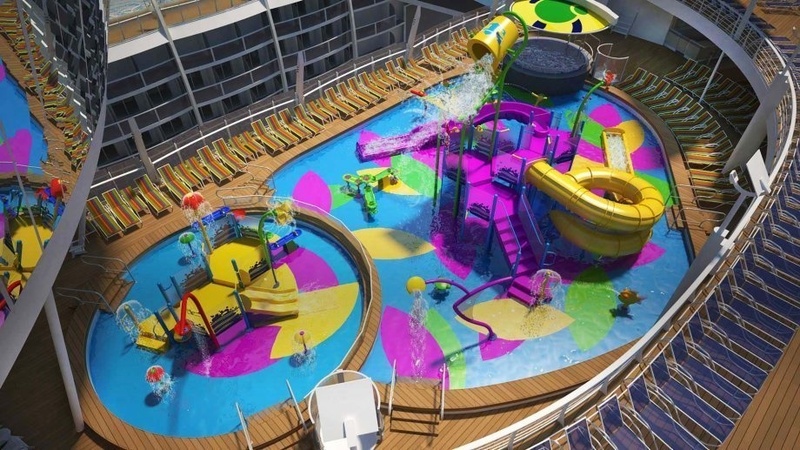 Guests can enjoy the ship’s two FlowRider® surf simulators. There are two climbing walls, at an impressive 43 feet high each. The trio water slides Typhoon, Cyclone and Supercell make the Perfect Storm. The waterpark features water cannons, slides, and waterfalls. Central Park has over 12,000 trees and plants. A zip line that flies up to 120 feet above ground will make you lose your fear of heights. An ice skating rink and a basketball court are just some of the sport facilities available. Prices start at $1,125 per person. 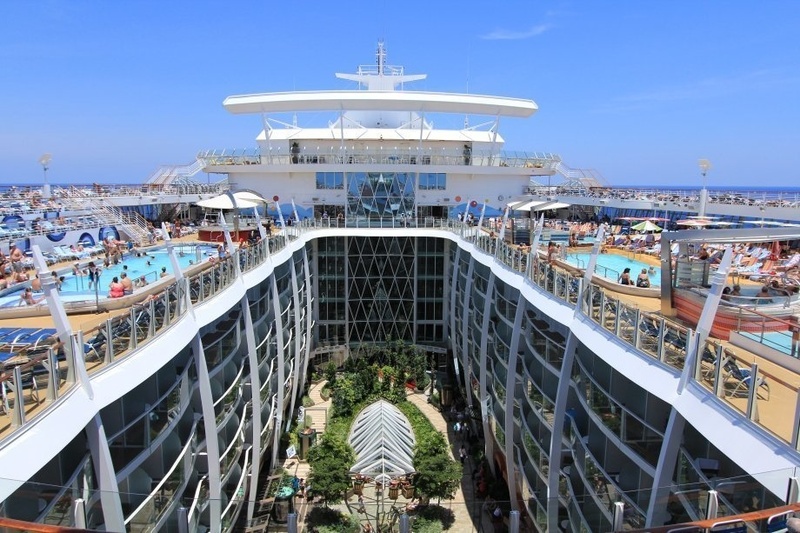 Harmony of the Seas will spend the summer travelling around Europe before beginning its voyage to the US in the winter.